As an industry, we should never underestimate the power of ‘solitariness’ in VR. Indeed, from the very beginning it’s been one of the special advantages of virtual reality to take the user ‘out of the world’ – away from other sights, sounds, and people to get their full and undivided attention. Popular games like ‘Keep Talking and Nobody Explodes’ have even used the solitariness of using a VR headset as a core gameplay feature. In this uniquely tense party game, one user wears a VR headset and is faced with a virtual bomb that only they can see and touch. Meanwhile, their friends outside the VR world are the only ones with access to the bomb defusal manual needed to save them from the explosion. The results are always entertaining, fast-paced, and entirely dependent on the clever separation of players into real and virtual game-spaces. More and more, however, it’s also clear that multi-user VR experiences are on the rise. We also need to ask the question: what about the social side of VR? What opportunities does this offer? In the gaming world, sociability in VR often adds interpersonal gameplay elements like collaboration, teamwork, and competition. Players can join online teams in ‘Echo Arena’, fight one another in ‘Dead and Buried’, and mime charades to each other in ‘Rec Room’. From personal experience, it’s also fascinating to see how adding other players to a VR experience can create unexpected opportunities for joint rebellion, and outside-of-the-box thinking. In ‘Rec Room’, for instance, it’s not uncommon to see players inside a game scenario ignoring the objectives completely – just having a chat while the competition goes on around them or engaging in their own fun and games outside of the expected gameplay like playing tag, racing etc. There’s an exciting air of spontaneity and risk that developers must both embrace and carefully manage. 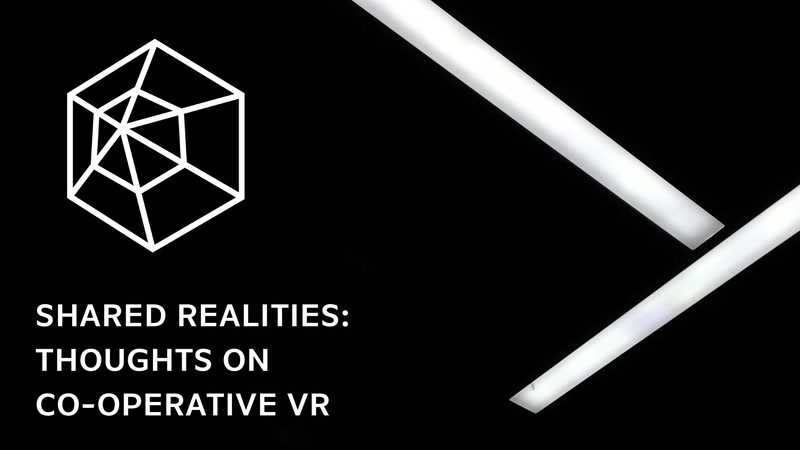 This sense of joint playfulness in social VR could have valuable implications in the corporate sphere too, where traditional teleconferencing, for example, can be replaced by shared virtual spaces in which collaboration feels more natural, free, and unrestrained. What are your favourite social VR experiences?